Wineware have a wide selection of Christmas gifts and presents for everyone in your family, whether it’s your whisky drinking Dad or your Champagne loving Mum! Listed below are our Top 10 Christmas Stocking Fillers and Secret Santa gifts, all priced either £20 or under! So what better way to surprise your best friend in the office or fill your loved ones stockings the night before Christmas with lots of little wine related treats! 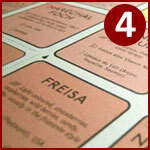 Wineware’s Top 10 Secret Santa Gifts / Stocking Fillers priced £20 or under! 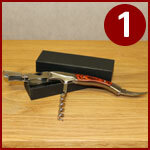 In at number one, is our very own Wineware corkscrew. This must have double lever waiter’s friend corkscrew is an ideal gift for any wine lover in your life. It’s an essential wine accessory, because if haven’t got a handy little corkscrew, you won’t be able to open the bottle (unless it’s a screw cap of course!). It comes smartly gift boxed and is relatively low priced. 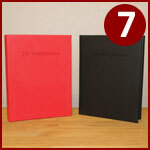 Price: £15.25 – Click here to view more. Sitting proudly at two, is a must have for any Whisky drinking Dad or brother! The Glencairn Whisky Glass is the bench mark of all whisky glasses, it’s seen and used worldwide within the Whisky community. This popular glass is available as a set of 2 in a presentation box, making it perfect to give as a gift. Price: £13.25 – Click here to view more. 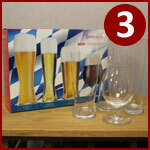 Clinking their way in at three is Spiegelau’s Beer Classic Beer glasses! With 5 different beer specific glasses within the range (tall pilsner, stemmed pilsner, lager, IPA, wheat beer), these smartly gift boxed glasses would make an ideal gift for any beer drinking fanatic. Available in sets of 2, these great value glass sets are always popular at Christmas time. Price from: £17.50 – Click here to view more. At 4 is the De Long’s Wine Grape Varietal Chart / Table! Any budding wine enthusiast in your life would be head over heels with this chart as it informs you greatly about different grape types! It’s been extensively researched and is hugely popular, you’re able to stick or even frame it to the wall in your home, cellar or wine room. Price: £17.95 – Click here to view more. At 5 is the easy to use and vitally important, Stainless Steel Wine Decanting Funnel. To enjoy red wine to its fullest, decanting and aerating is hugely important. This funnel with the included filter is popular with older vintages that tend to have more sediment within the bottle. This then prevents sediment and loose cork particles from entering your glass or decanter. Price: £12.95 – Click here to view more. 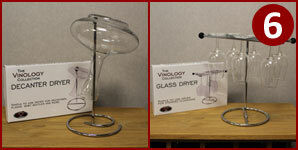 Standing proudly at 6 is the Vinology collapsible decanter dryer and wine glass stand. Although they are two individual items, they go hand in hand as one will allow your wine decanter to ‘dry off’ once it’s been washed and the other is great for allowing your stemmed glassware to drip dry. You can also use both to store your wine decanter or glassware if you so wish. Click here to view the Decanter Drainer and click here to view the Glass Drying Rack. Placed on the shelf at 7 is the ever handy ‘Wine Journal’. Avid wine fans and enthusiasts like to keep notes of their favourite wines or new vintages they’ve tried for reference, and what better way to do this than with The Wine Journal. It also features some vital information regarding grape varieties, the wine making process and the aroma wheel which will help the user to identify and describe the complexities of wine. Price: £19.95 – Click here to view more. In at 8 is a great two glass set from Schott Zwiesel. 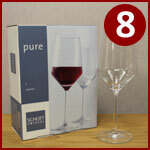 The Cabernet glass from Schott Zwiesel’s popular ‘Pure’ range will enhance your red wine drinking experience. These slightly tapered red wine glasses are made from Tritan Crystal, meaning they’re break resistant and dishwasher safe. 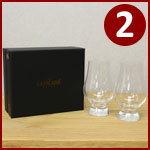 This set of 2 is gift boxed, but alternatively additional glasses are also available from this range. Price: £20.00 – Click here to view more. 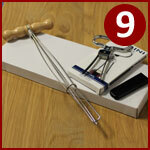 At 9 is a cork removing gadget, combination set. The wine bottle cork retriever and butler’s thief cork extractor work hand in hand at extracting old, loose and damaged corks that have ended up inside the bottle. These handy items are also available individually. Price: £15.17 – Click here to view more. Finally at number 10, is this great 2 piece brush cleaning set. With 2 different brushes included within the set, they allow you to thoroughly clean your wine glasses and wine decanter, without fair of scratching the glass. These non-abrasive brushes are long lasting and bendable, the foam stays firm even when wet! This relatively low cost item would be great as a handy secret Santa present! Price: £9.99 – Click here to view more. So there you have it, Wineware’s top 10 ideas for Christmas stocking fillers and Secret Santa gifts. Click here if you’d like to view more Wineware Christmas gifts ideas. Alternatively, why not let your friends and family decide which wine related gifts they’d like, with a Wineware Gift Voucher, available in denominations of £10, £25 and £50.